The acclaim for Frank Miller's art on Daredevil is largely focused on the Elektra Saga, but I have to say that his entire body of work on the title is outstanding. The gritty edge and the level of kinetic energy that he brought to even the most mundane scene was a breath of fresh air for comics and a style that the creator has refined remarkably over the years. 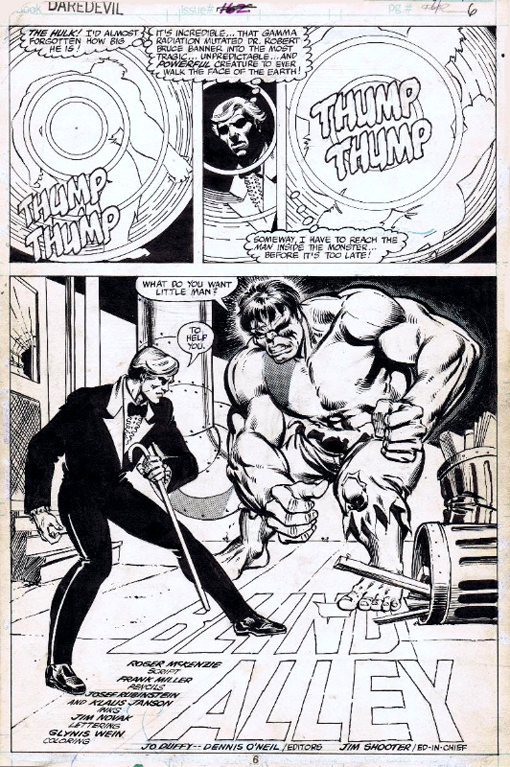 The title page to Daredevil #163 is a great example of Miller's skill as an artist: No action or conflict, but still a palpable tension and expectation as the panels unfold.